It's a truism - but that doesn't make it less true - that the way something is presented influences our perception of it. While some whisky enthusiasts may take the view that it's all about the taste, many would agree that factors such as setting, time of day, mood, presentation, company, and so on can have a big influence on how we perceive the qualities of the "whisky itself". 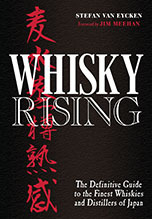 Labels, too, can subtly influence our expectations and perceptions of a whisky. And let's face it, the eye seeks pleasure too, so here's the first in an ongoing series of whisky labels from Japan. 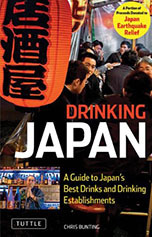 Note the wording: this will not just be about Japanese whisky labels - although this will make up the bulk of the entries - but will also include non-Japanese whisky for the Japanese market. 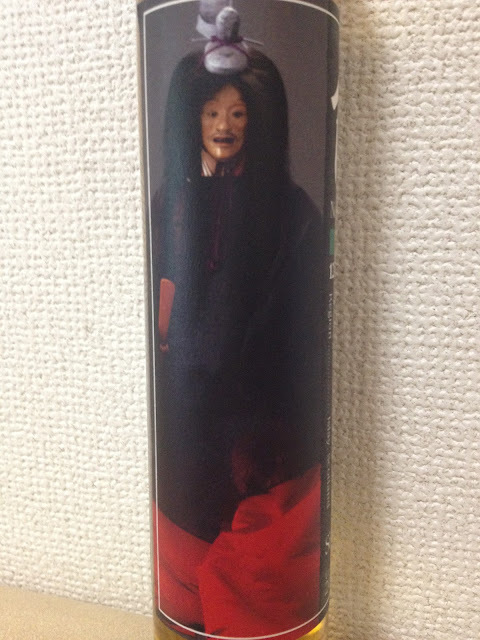 What better way than to start off with what has become one of the most iconic - certainly most collectable - series to come out of Japan: the Noh-series. Most of you will be familiar with the full-sized Karuizawa and Hanyu Noh-bottlings since they were all for foreign markets (the UK, France, Scandinavia, ...). Very few people know, however, that the very first Noh-bottlings were 200ml-bottles produced for the Japanese market, that is to say, specifically for sale at performances of the Noh-troupe Kamiasobi. 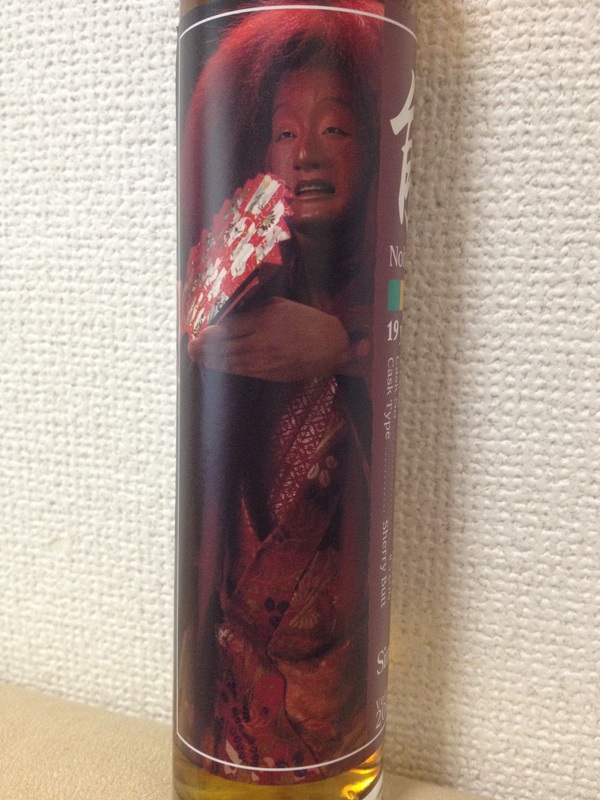 David Croll of Number One Drinks explains: "The relationship with the Kamiasobi troupe came about purely by accident when we were asked if we were interested in sponsoring a performance of their whisky-play "Bakuryu". It was just before Whisky Live 2008 and they very kindly agreed to come along to Big Sight [the venue] and perform an act from their play. We had requests for labels other than the Karuizawa Distillery labels and the Number One Drinks label, so the Noh costumes and masks seemed a very obvious and appropriate place to go. Several of the troupe are enthusiastic and knowledgeable whisky drinkers and they were delighted to become involved in this venture, from which a royalty is paid from each bottling to support their activities." 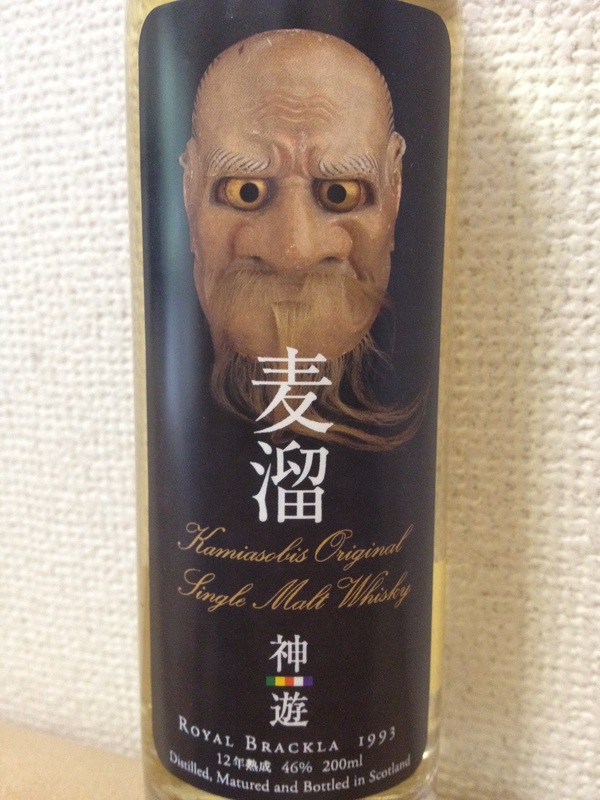 Interestingly, the very first Noh-bottlings were not Japanese whisky, but Scotch. 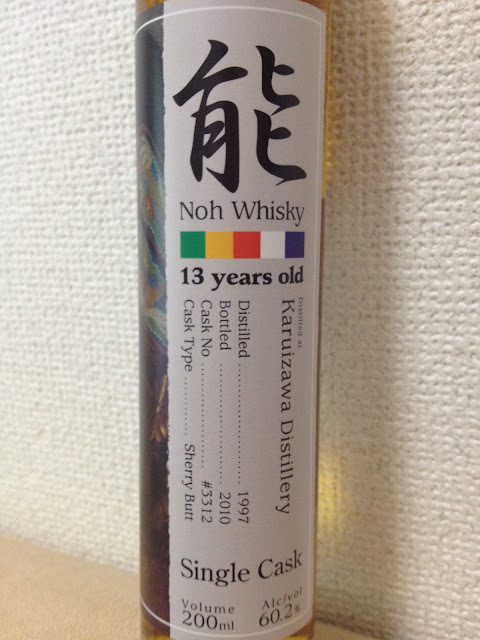 The troupe's first - labeled as "Kamiasobi's Original Single Malt Whisky" - was a 12yo Royal Brackla from 1993 (bottled at 46%). 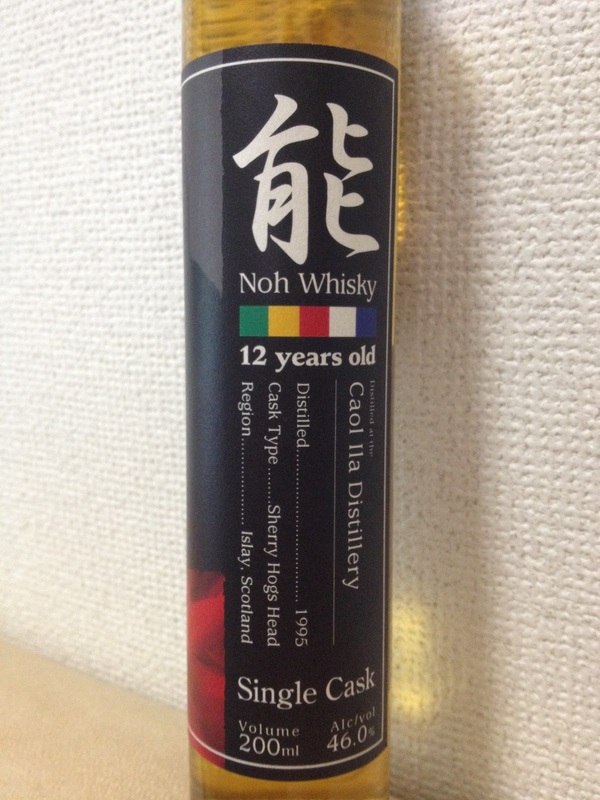 They subsequently selected three single casks (partial bottlings obviously), one from Caol Ila distillery - again a 12yo (from 1995) bottled at 46% abv, and two from Karuizawa distillery: a 13yo (1997/20120, cask #3312, 60.2%) and a 19yo (1991/2010, cask #3206, 60.8%). 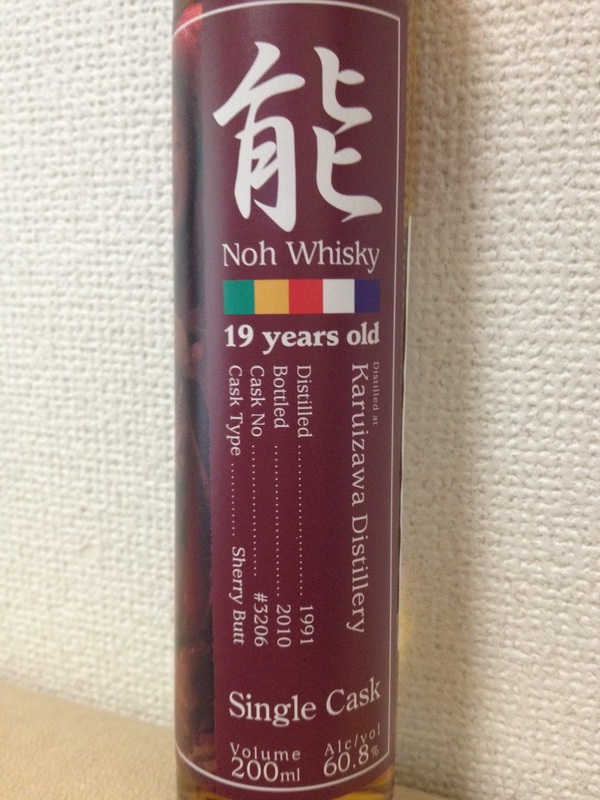 Karuizawa anoraks will no doubt recognize the cask numbers of the latter two as the whisky came from the same casks the "Spirit Safe" Oxfam charity-bottlings were drawn from. Small amounts of the Karuizawa bottlings were also available at the time at the posh department store Isetan. 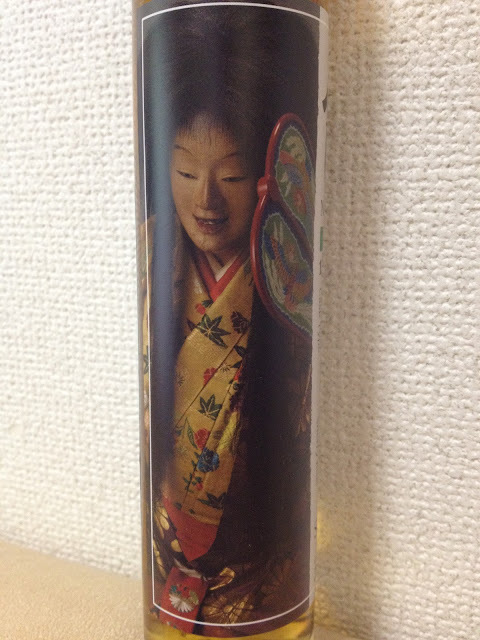 There are no plans currently to expand the range of these small-sized Noh-bottles, but fans of the labels and/or the whisky can look forward to two new additions to the full-sized range very soon. A US retailer specifically asked for Noh-labels for their first inaugural bottlings for the American market, and the labels are currently going through the rigorous US approvals process.